Now in its third year, the Thorpe Half runners’ village makes the exciting move away from Thorpe Park to make the event more accessible for people. 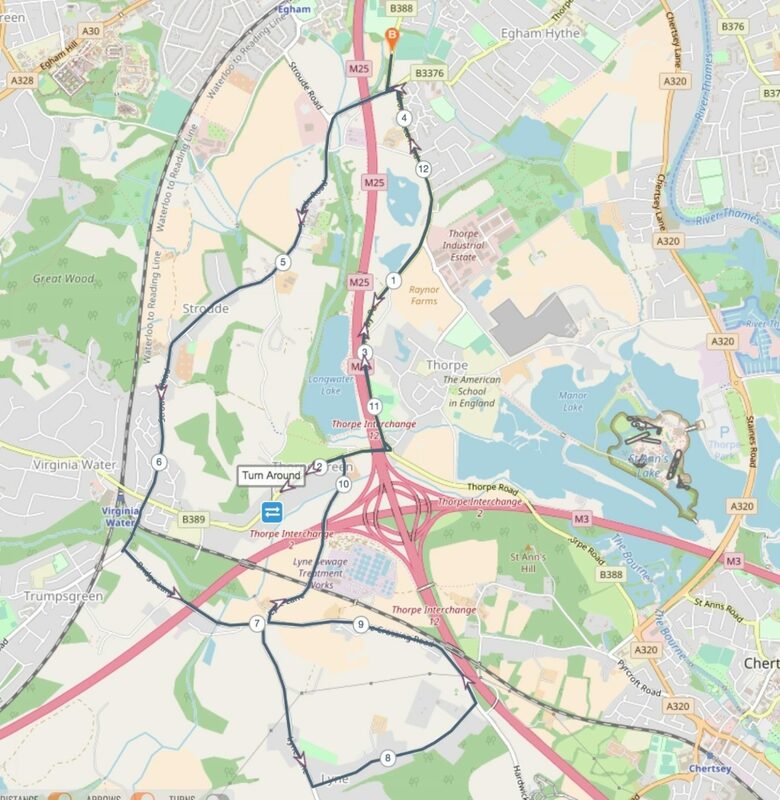 The event village is now within a 10 minutes walk to Egham rail station, allowing runners to travel to the event on direct lines from London and enjoy what the rural Surrey countryside has to offer for half marathon running! Other than this shift, the course will remain unchanged compared to previous years allowing runners to tackle their personal bests on a super quick route previously ran by two Olympians. For those wishing to travel by car, there will be a free shuttle from Staines retail park that will take you to and from the event village. Regular South West Trains run from Waterloo direct to Egham, which is the recommended railway station for travelling to. You will need to plan your journey carefully – Egham train station is 0.6 miles from Egham Cricket Club, and can be walked within 15 minutes. We’re just 20 miles from Central London, with plenty of transport links between Junctions 11 and 13 of the M25 (but for reasons unknown to us, you can’t get here from J12). The best way to get here if you use a smart phone is to download the Google Maps app. All results will be available on www.thorpehalf.com after the race. If you use #thorpehalf on Instagram with your race day collages, the best ones will feature on our page! I'd rate the Thorpe half marathon a 5 out of 5 I had a great morning and felt that the event was organised and run really well with very friendly staff. I will be attending again next year and will definitely recommend anyone to take part! This race was my 3rd half marathon. However I have participated in many RunThrough events. I enjoyed the warm up And was glad because it was so cold. The route was beautiful it was nice to see all the different places in Surrey. The 2 small hills were not too much of a drama. I know they said it was a flat course but you can't have 13 miles without 2 small hills can you. I was nice running through residential and waving at the people in the windows. Overall a very enjoyable race which I would definitely do again. Booking through find a race was swift and if all races could be booked that way it would be a simpler world! Thorpe Park half marathon was particularly well organised for the price of race, the facilities were perfect and the medal and t-shirt were extremely cool. The course is quite flat, so overall a very good half! I really enjoyed yesterday race ,from the superb pre race warm up and the great couse on closed roads,so we could enjoy the country roads in safety and the great support all round the couse with live music and perfectly placed drink stations.